If you know this band, you surely are of my generation or older. This band was quite popular in the seventies. Mastermind behind the band was then, and is still now Thijs van Leer. And after so many years their music still is in the same style, progressive rock, with a wide spectrum of instruments, and a wide range of musical styles, going from jazz to rock. Now some might say there is no place for this kind of music nowadays, but, despite the fact that the majority of the songs are instrumental, I quite like the album. Especially the tell-tale sound of Thijs’s flute, and the Hammond organ, bring back memories of yesteryears. Remember that in the seventies you not only had Focus hailing from Holland, but there were many other bands in the same vein, like Kayak e.g. 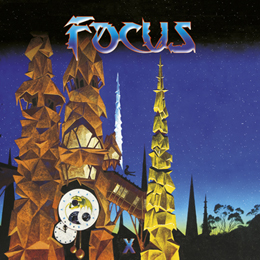 Fans who liked Focus in the seventies can blindly buy this album. They bring the same kind of music, with high quality musicians.